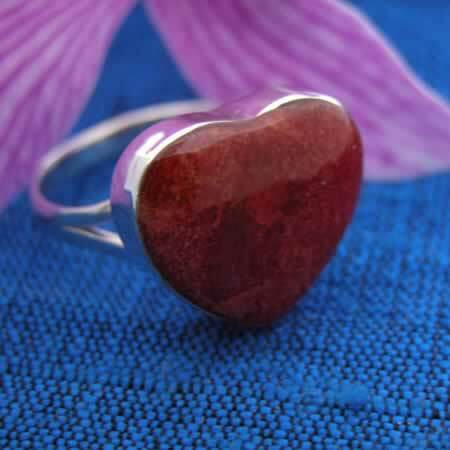 Sterling silver ring with heart shaped red coral stone. Handmade in Thailand. Stone measures about 5/8" across and 3/4" tall. It looks more red-pinky on my pc, but in person it definitely looks more orangey-red and that was just fine with me. I love heart stuff, so this was right up my alley. It isn't large, but delicate and sweet. It is a great deal!